SoftBank Group’s founder Masayoshi Son’s younger brother Taizo Son has launched an agri-food tech accelerator in India in partnership with Gurgaon-based GSF Accelerator and Indo-Japan business consultancy Infobridge. Taizo Son’s Japan-based incubator Mistletoe, GSF and Infobridge floated the joint venture accelerator christened as ‘Gastrotope’ in Bangalore on Thursday. Taizo Son is a tech entrepreneur and a prolific investor in his own right, while his brother Masayoshi Son has earned more fame, money and influence through his aggressive investments across the globe. Since its launch in 2013, Taizo Son’s Mistletoe has made over 90 investments globally that are worth around $160 million. Mistletoe has made three investments in India in startups such as Innerchef, Ninjacart and Kisan Network. Innerchef was started by GSF’s founder Rajesh Sawhney. Taizo Son founded Mistletoe in 2013. 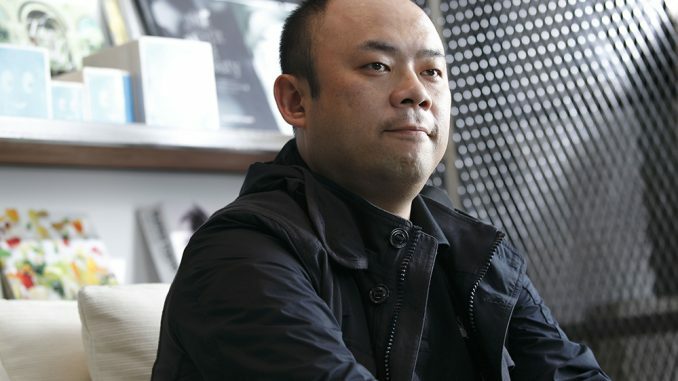 He is also founder of Japan-based mobile gaming company GungHo, in which SoftBank acquired a 51% share in 2013 for $1.53 billion. GungHo bought back most of its shares from SoftBank last year. The newly launched accelerator Gastrotope will focus on sustainable ideas and models in the ‘farm-to-fork’ value chain. It plans to create an agriculture and food-tech enabled industry ecosystem throughout this value chain and invest in startups that can add value at various stages, starting with farmers and moving to food transportation, processing and delivery to consumption. “I have always believed that innovation comes from the connecting of diverse dots, and this time, with the bridge between India and Japan, unique solutions to the questions of food and agriculture will arise,” Taizo Son said. “We hope, while working with our partners here, we will become a catalyst for this new movement of farm-to-fork permaculture,” he said. Sawhney said he will be working on creating a leadership team for Gastrotope. Other details such as the duration, number of startups, launch of the first batch and investment amount are yet to be finalised. “Gastrotope is borne out of a vision of democratising healthy gastronomy experiences for millions. The food consumption habits are changing globally with a focus on nutrition and wellness and instead of food industrialization, the new goal is all about ‘what we grow’. Gastrotope seeks to play a vital role in catalysing India’s adoption of these trends through the birth of a new agriculture and food-tech ecosystem,” he said. Besides Innerchef, Sawhney founded GSF that runs three programmes such as an accelerator, an angel network and tech conferences. The GSF accelerator programme has incubated over 40 startups in Delhi, Mumbai, and Bengaluru. Among these, investors have exited five startups, about 40% have raised venture rounds and over 80% have gone on to raise angel funding. Infobridge has more than 10 years of experience in India, creating a bridge between India and Japanese businesses. It provides consulting and business development services to Japanese in India. The company has brought several Japanese startups to India.